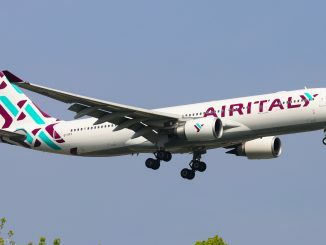 When most travelers think of Middle Eastern airlines, they think of Emirates, Etihad or Qatar Airways. 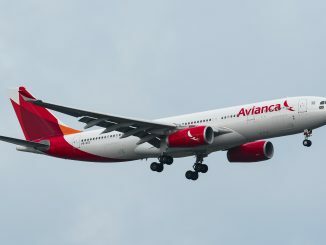 However, there are several smaller carriers based in the Middle East that allow for local and international passengers alike to travel great lengths. With over 45 international destinations across 26 countries, Gulf Air is the flag carrier of Bahrain and has a long history in aviation going back to the 1950s. Gulf Air began as Gulf Aviation and was a consortium between the nations of Bahrain, UAE, Oman and Qatar. As of 2007, the airline is owned solely by the Government of Bahrain. 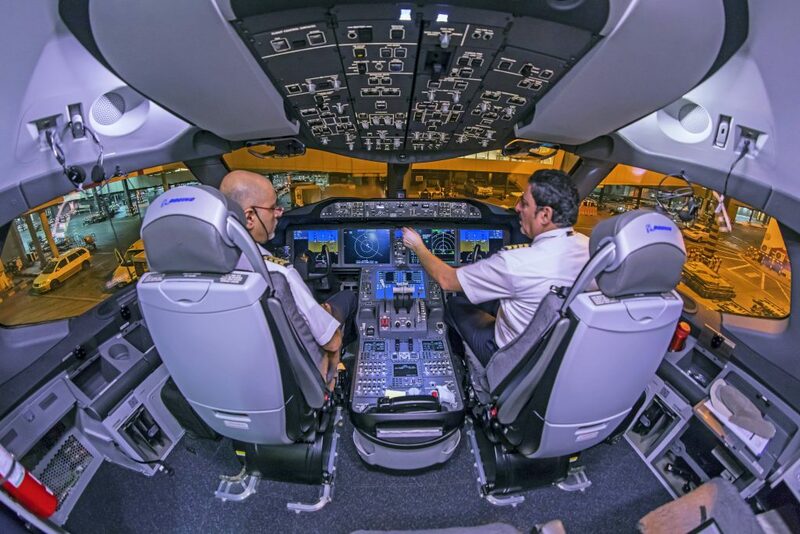 Under its current leadership, Gulf Air has started to modernize its fleet in order to create a highly competitive product for the region. 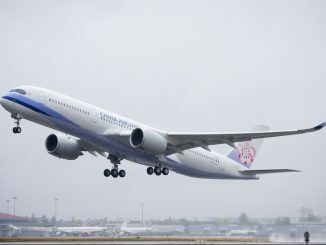 Part of the airline’s fleet modernization plan includes the purchase of 10 Boeing 787-9 Dreamliner’s. My journey began on a Monday morning at London – Heathrow’s Terminal 4 (T4) where one of Gulf Air’s three current Dreamliner’s was waiting for me. 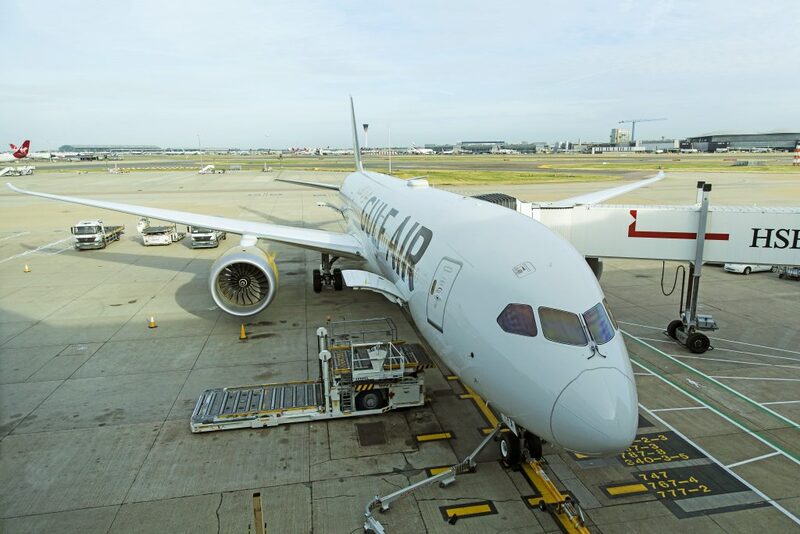 The aircraft, A9C-FA, was Gulf Air’s first Dreamliner, and the airline’s first aircraft to display the new livery when it was delivered in April of this year. I boarded Gulf Air Flight #2 and was seated in economy seat 22A where I would be for the six-and-a-half-hour journey to Bahrain. 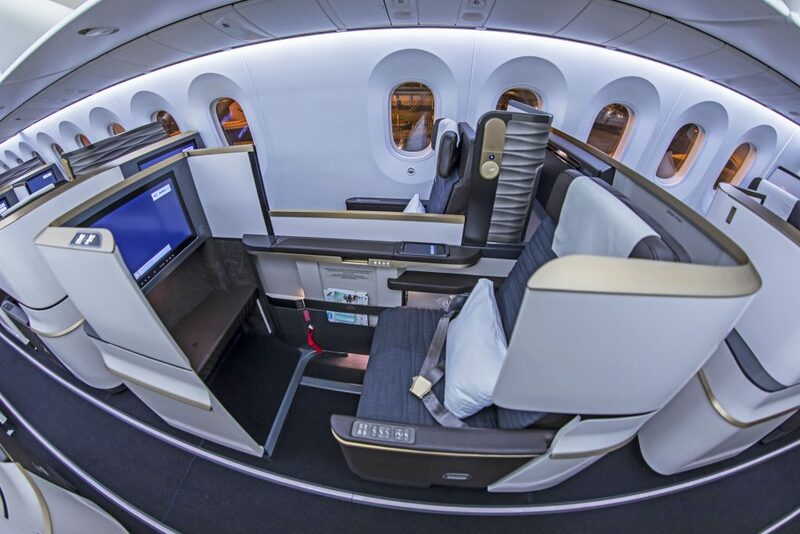 Gulf Air’s set up is a standard Dreamliner economy cabin with 3-3-3 abreast seating. The seats are also the standard economy seats found on most Dreamliners I have flown. I found the seats to be comfortable enough for the long-haul flight with adequate legroom for the average passengers. In addition to many movies, the in-flight entertainment system (IFE) also includes the Thales moving map display to allow you to keep track of your flight. One thing I noticed that was different from other IFE systems, is the ability to custom sort the way the movies are displayed, a nice feature if you want to quickly search through the large library of on board movies to find what you are looking for. The Gulf Air cabin crew performed as expected, as they were extremely nice and personable. The crew came through the cabin several times with beverage service as well as a full meal service for lunch. On the flight. I chose the vegetarian option which was vegetable curry Thankfully, it was one of the better economy meals I’ve had. I was able to take a brief nap before preparing for our arrival into Bahrain. During the aircraft’s descent, passengers had a unique view flying over the oil fields of Iraq and Kuwait before crossing into the Arabian Gulf on approach to Bahrain. After landing, arrival to the remote stand was quick, as it seemed like we were the only aircraft moving on the airfield at that time. There was no line at immigration and it was an easy process to purchase a tourist visa upon arrival for a mere 5 Bahraini Dinar. On my journey back to London I was fortunate enough to try out Gulf Air’s new Falcon Gold cabin, which is the airline’s most premium product. I was excited to see the differences compared to my inbound flight in economy. I arrived early at the airport in Bahrain, so I could begin the flight at the Falcon Gold lounge. The lounge employees were extremely friendly and helpful. Since I spent the day on a long tour of Bahrain, I asked to use the showers in the lounge. The lounge staff provided me with a standard shower amenity kit along with a towel in a basket. While there were only two shower rooms available for men and one shower room for women, there was no line to access the showers. 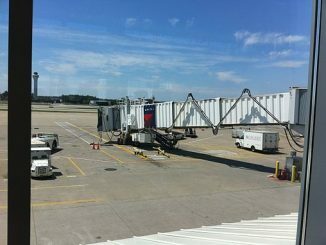 While it didn’t have any extra luxurious amenities as some first-class lounges do for other airlines, it did however provide me with a large place to relax a bit before the flight with a great view of the arriving and departing international traffic. Overall, the Falcon Gold lounge was a great place to rest and relax but, it could use some updates to design and food selections. For now, the lounge is a great escape until the new terminal is completed in 2019, which will hold a new, larger Falcon Gold lounge. 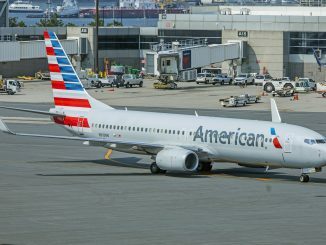 On my flight home, there were 25 passengers in business along with 224 in economy. This flight would be my second in three days onboard aircraft A9C-FA. 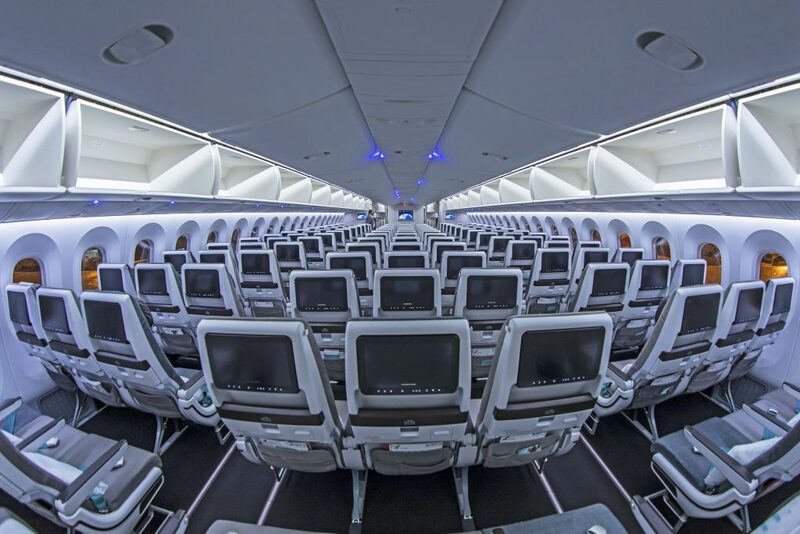 The business class cabin was laid out in a 2-2-2 configuration, and offered direct aisle access, large IFE screens and a fully lie flat bed. 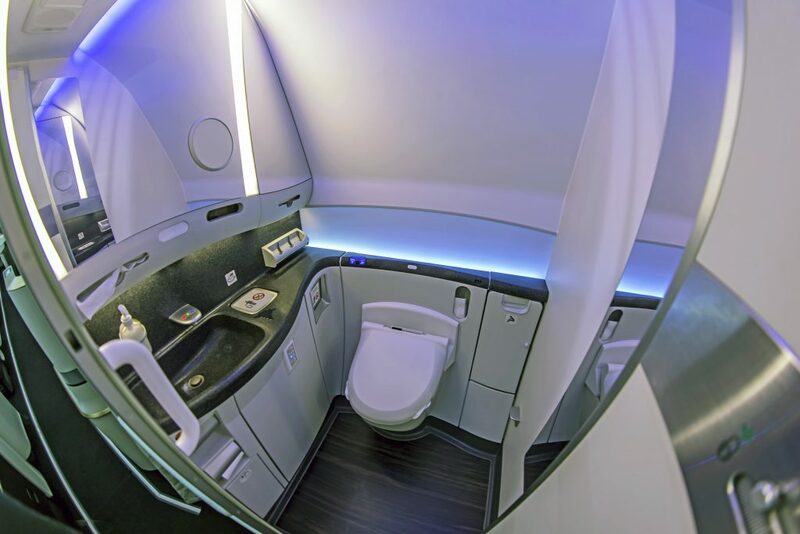 The USB power ports and controls were easy to find and use, and the aircraft’s mood lighting added to the premium ambiance in the gorgeous cabin. Upon boarding, the cabin crew was extremely friendly and attentive. Waiting for me at my seat was a bottle of water, slippers, and a standard amenity kit with a case from Guy Laroche containing a toothbrush, toothpaste, Aigner hand cream, socks and ear plugs. The boarding drink options consisted of champagne, mint lemon drink or orange juice served in glassware. The crew also offered pajamas as well as a choice of several newspapers and magazines to read. During the welcome announcement onboard the plane, the “sky chef” and “sky nanny” were introduced alongside the cabin purser for the flight. 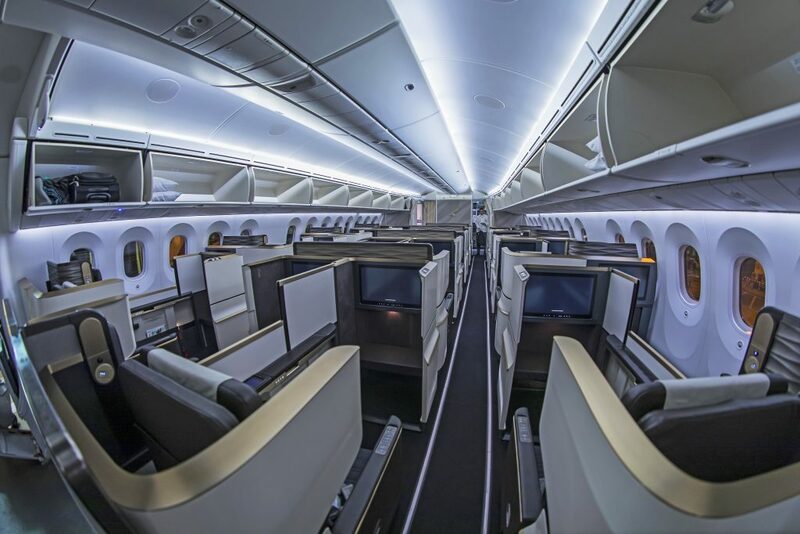 As part of Gulf Air’s goal of providing a premium business class experience, the airline has a dedicated onboard chef to oversee the food service for business class passengers, as well as an onboard nanny is also available to help with any of the children traveling in both cabins. 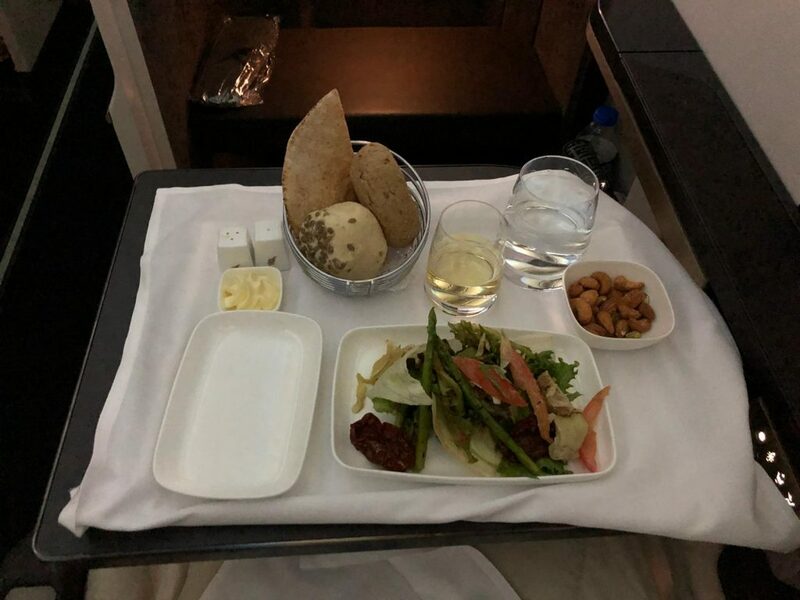 The chef came around to take our order for the meal on this red eye flight, which would be a snack after departure then breakfast prior to arrival. 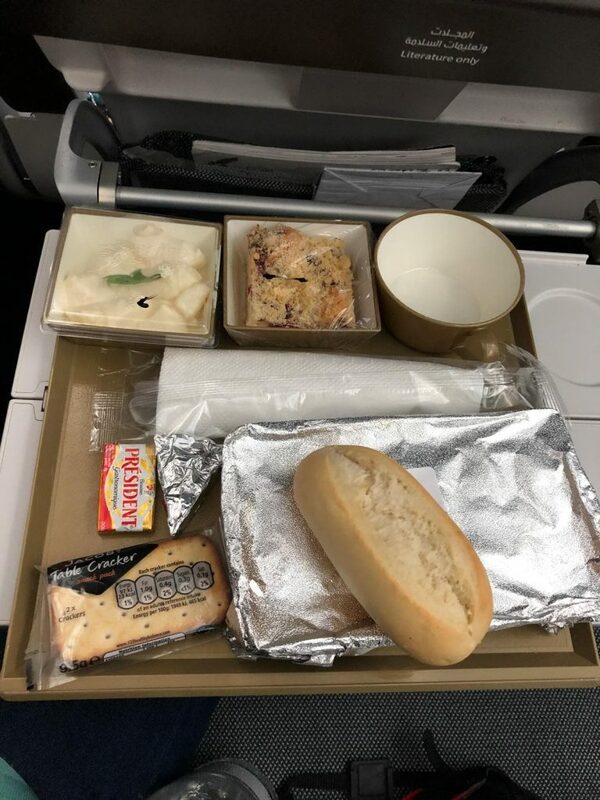 After departure, the cabin crew came around to offer a choice of hot or cold towel before serving the light meal or snack. I chose a fresh Mediterranean salad and a nice white wine to accompany it before going to bed. The seats were extremely comfortable, and I was asleep in no time. About 45 minutes prior to arrival into London, the cabin crew woke me for breakfast service. The chef offered a great selection of pastries to enjoy, fresh fruit, yogurt, cereal and the main course. 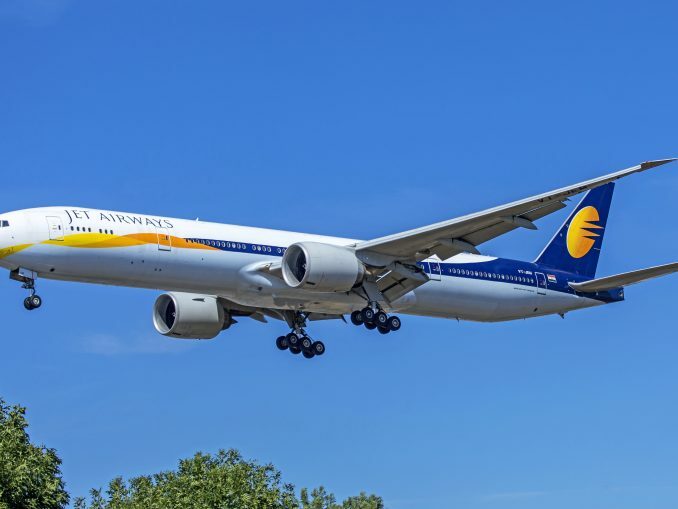 Within no time after the meal, we were descending into the queue of traffic bound for London’s Heathrow Airport and my journey aboard this beautiful Dreamliner and the Falcon Gold product came to an end. Overall, I was impressed with my flight experiences on Gulf Air’s flagship Dreamliner on the airline’s most premium route between London and Bahrain. 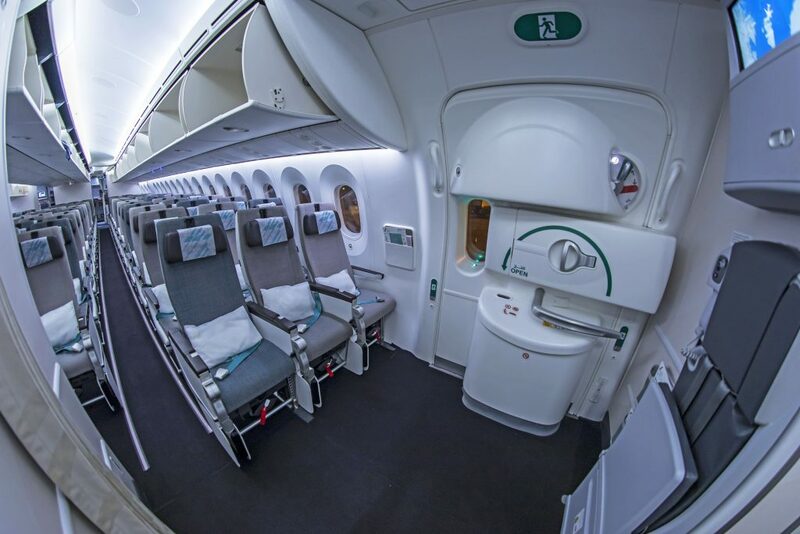 The trip in economy was nothing special, but it was certainly comfortable enough and had mostly everything that could be expected in an economy cabin on a new Dreamliner. The cabin crew’s service in economy rivaled other premium carriers I have flown in the past. While I was pleased about my flight in economy, I was really impressed when I flew the new Falcon Gold business class. 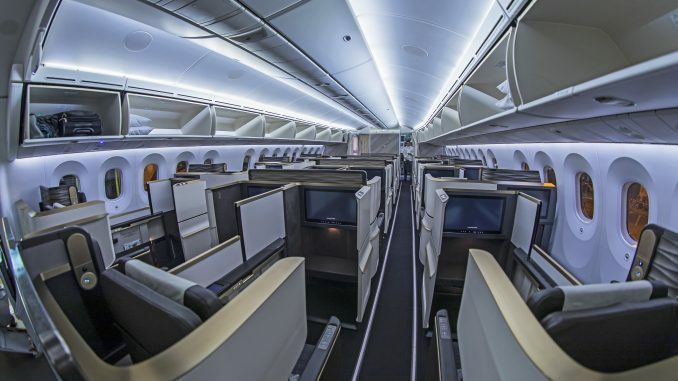 I would rank the airline’s seats in the top tier of other premium airlines business class cabins, and I would say that it competes with some first class products as well. 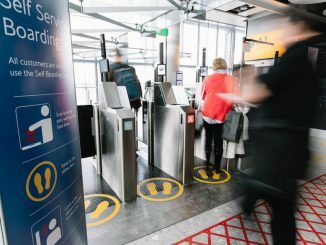 The service was what could be expected on a premium Middle Eastern carrier in business. The extra touch of the chef and nanny on board really enhanced the premium flight experience. With that being said, there were a few things that I found Gulf Air was lacking on my flights. The first was very minor, but the amenity kit was a bit disappointing as it only contained a few items and does not stack up with what competing airlines in the region have to offer. The second issue, which is more pressing for a business traveler, is that there was no WiFi available on either flight. This was very surprising to me, especially given the number of business travelers that were on my flight. Finally, the lounge was a bit outdated and could benefit from some additional features. Thankfully, The Falcon Gold Lounge should look better once the new terminal is complete. 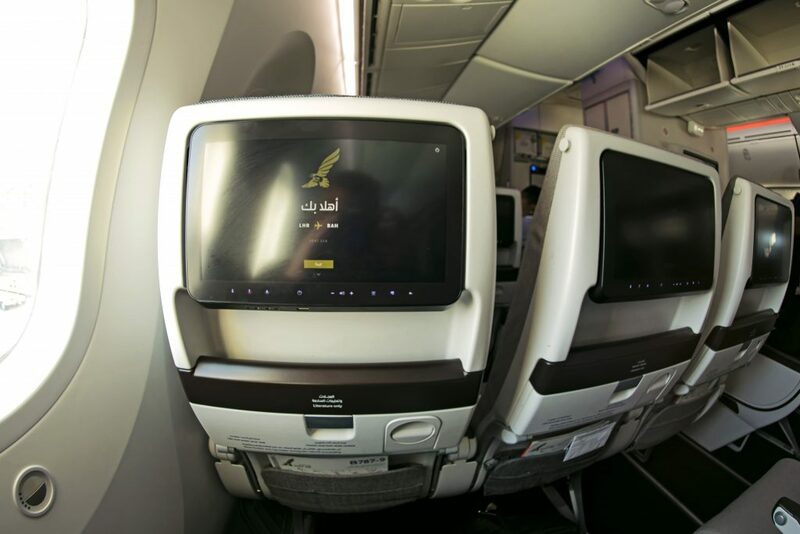 Overall, Gulf Air offers a great product, both in economy and in business, on this premium route. 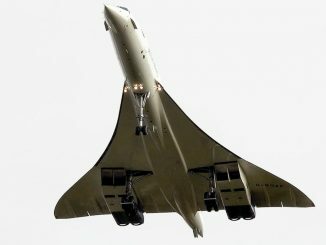 Editor’s Note: AirlineGeeks.com was a guest on behalf of Gulf Air for this trip report.